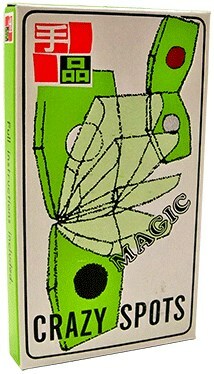 Magician shows a small hinged board containing two different colored spots. He asks a spectator to name the colors and then closes the board. Now he snaps his fingers and the board opens up showing that the spots have changed color! Without ever removing the board from the spectator's sight, magi rubs one of the colored spots and it instantly changes back to its original color! All may be examined.